As a seasoned wedding planner, Linda Howard is often asked many questions by newly engaged couples about the wedding-planning process. From the age-old question of who gets a plus one, to alternatives to trimming the guest list, and which vendors to hire first, there are many elements of planning a wedding that brides and grooms want to know just days after the question is popped. Who should receive save-the-date cards? 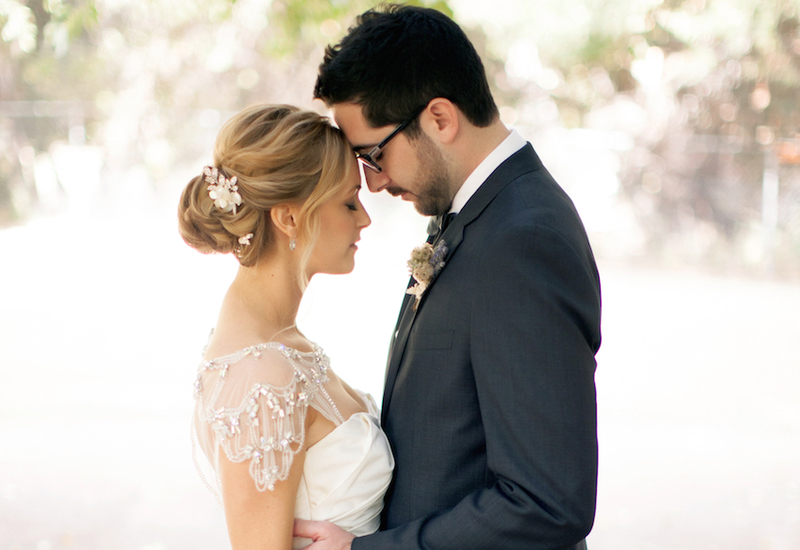 How can I best include my busy groom in wedding planning? Read on to discover answers to more questions like these that are popular among brides- and grooms-to-be. Everyone in your bridal party does not necessarily need a plus one. If the couple is not engaged or living together, you don’t need to feel the pressure to extend a plus one invite. Of course, over time if the relationship becomes more serious, then absolutely extend the invitation to the significant other. If you don't have the budget for a big wedding, but you and your fiancé have large families and a lot of friends, there are some options to consider that don't require leaving a number your loved ones out. Rather than cut your guest list, you can split up the ceremony and reception. Plan a private ceremony for the bridal party and immediate family only, followed by a fun celebration with a DJ and food stations for all guests. Another option is to get married in the afternoon, so your bar bill does not hike up the cost. I also suggest saving money by lining your ceremony aisle with florals that can later be used as reception centerpieces. I think its important to note that sending save the dates is not mandatory. You can spread the word to your nearest and dearest via email and phone and not to put it in writing, which will allow you to make final decisions for a guest list at a later date and relieve some of the initial pressure. If some of the guests on your list are obligatory and you’d rather they not attend, just send save the dates to your close friends and let your parents spread the word to other attendees by phone or email. Your main vendors are your florist, your music and entertainment professionals, your photographer, and your videographer. They usually book events one year out. I wouldn’t want you to be disappointed that your favorite photographer was contracted since it is wonderful when you can have your first choice, so make sure you hire these professionals first. If your fiancé doesn't have spare time to help with wedding planning, it's still important to make him feel involved in the wedding-planning process. Have him attend the first meeting with your wedding planner, the entertainment company or musicians, your photographer, and videographer. He will also most likely want to go to the tastings for your food and cake. You can go with him to the tuxedo rental shop to select the style of tuxedo for himself, the groomsmen, and the fathers. If his parents will be hosting a rehearsal dinner, he can help them decide where to host it. It will be his job to select gifts to say thank you to his groomsmen, and he should help make arrangements for the honeymoon. The honeymoon planning process is like planning a fairy-tale trip, and it will be a wonderful memory and time to look back on.